A hand painted oak corner display and storage unit. This unit has been painted in the fantastic `Paris White ` ~ Autentico; pure and natural paint. This is a lovely vintage colour. The inside top half of the unit has papered and, both inside the cupboard and the back of the unit have been fully painted. The unit has been distressed and benefits from the heavy leaded glass being replace with light wire, adding a truly country cottage feel to this piece. Autentico clear wax has been utilised to seal and protect. As this unit has been hand painted there may well be signs of texture, so it is not for someone looking for a factory finish. This is a pretty piece, a definite show piece for any room in the house. As a preloved character set it has the associated knocks and dings that vintage and reclaimed furniture picks up from age and use, however this is piece has been well looked after. You can buy with confidence I have received 100% positive feedback. I use the eco-friendly ~ Autentico; pure and natural paints, waxes and sealants. These paints provide a fantastic lightly textured and matt finish which is perfect for the shabby chic look. You will be able to see light brush marks where it has been handpainted adding to the character of my pieces. 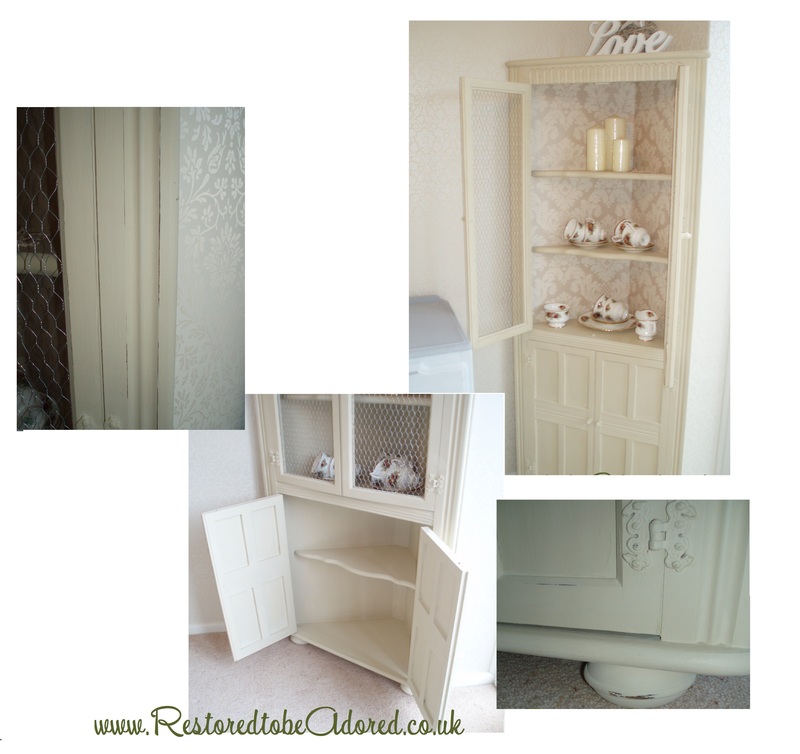 Only good quality products, please visit my suppliers website for full details; http://www.autentico-chalk-paint.co.uk/.